Even though HTC‘s performance last year was rather lackluster and the company ended up selling part of its mobile division to Google, the Taiwanese company has been releasing new smartphones into the market since the beginning of this year. Now, the company has officially unveiled the upcoming Desire 12 and Desire 12+ smartphones, running Android Oreo, which are expected to hit the market shortly. The company took to Twitter today to reveal the two mid-range smartphones, both of which will feature 18:9 display, in keeping with the current trend in the smartphone space. While the smaller HTC Desire 12 will feature a 5.5-inch HD+ display, the larger HTC Desire 12+ will feature a 6-inch HD+ display. In terms of optics, while the Desire 12 will feature a single 13MP rear-facing camera, the Desire 12+ will include a 13MP+2MP dual camera setup on the back. 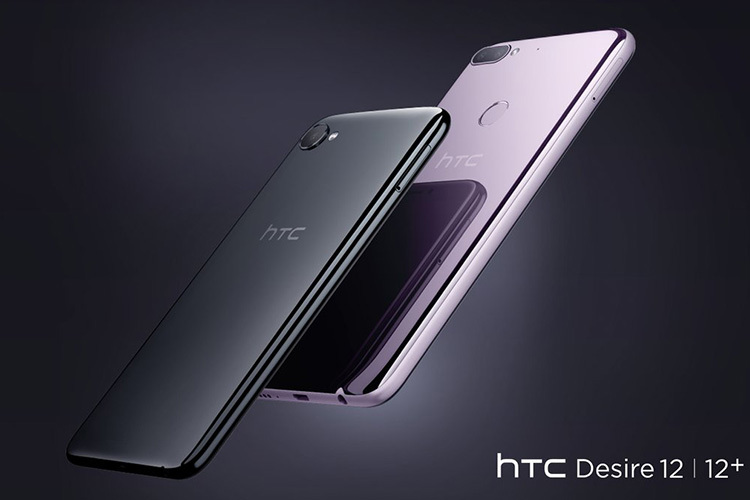 The HTC Desire 12 will be available in 2GB/16GB and 3GB/32GB variants, whereas the Desire 12+ will only come in a 3GB/32GB variant. As of now, the company hasn’t revealed any details regarding the pricing and availability, but since the company has already revealed the devices it won’t be long before they hit the market. What are your thoughts on the upcoming devices? Do you think HTC will be able to make a comeback in the budget smartphone space? Let us know in the comments down below.